Tourism is the biggest economy of the world. The mainstay of the economies of cities of New York, Paris, London, Saint Petersburg, Los Angeles, Geneva, San Francisco, Washington D.C. Cairo and Rome is tourism. Other economies like industrial economy and trade can boom and bust, depending on the situation prevailing in the world. Punjab is passing through a bad period of economy. The solutions are hard and financial belt tightening is essential. TOURISM IN PUNJAB: It is one of the most neglected states in India from the tourism point of view. So far all the outgoing governments, since independence considered punjab only as an agricultural, petty trading and small scale industrial state. No one realized its vast tourism potential, which consists of its religious shrines, princely palaces, forts, gardens and ruins of heritage structures. PRIMARY PLACE OF TOURISM IN PUNJAB: When we make comparison with the other primary tourism destinations of the world, the Golden Temple in Amritsar is the only primary tourist attraction in the entire state. Even the Golden Temple developed on its own, no government promoted it. But on the national scale and international stage, no one has tried to project Punjab's tourism potential. Today the Golden Temple attracts footfall of at least one hundred thousand tourists and pilgrims, but most of the low budget tourists prefer to leave the city at night. The economy of the city and the state benefits only, when the tourists stay for the night in the mushrooming low cost hotels of the city. Very slowly we are moving in that direction. But we want to achieve it with a bang, so that the economy of the state benefits too. Let us not fotget that Rome was not built in a day. AMRITSAR'S SECONDARY TOURIST ATTRACTIONS: In order of importance, the following are the other attractions. Beating the Retreat at the Attari/Wagha border (needs more parking, more restroom facilities and cafe). At present the seating capacity is being augmented from 2000 to 25000. More parking is also being added. Ram Bagh (Company Bagh) including the Emperor Ranjit Singh's Summer Palace (under restoration), will be opened this year for universal tourism. Fort Gobind Garh (under continuous restoration needs better grass and flower beds, food and restrooms.). 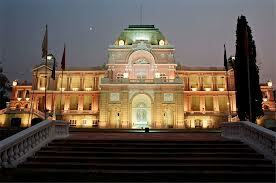 At present it houses the replicas of the Kohinoor diamand and the famous Zamzama canon. Emperor Ranjit Singh Panorama (inside the Ram bagh needs more organized publicity and a cafe). At present it is getting a huge footfall. Partition Museum at Town Hall (it is under development, I am also helping it), at present it is earning a substantial revenue from tourist visits. Kanjli Wetland and former picnic area facing a century old castle near Kapurthala (needs restoration). Recently irritating hyacynth has been removed from it. More water from the Beas is being released. A state of the art Regional Botanical Garden with plenty of parking somewhere outside the city. A zoological garden with stress on tigers, lions and elephants, this area had plenty of those in the past. A film pictorial museum from 1931 to present date (pictures of actors, actresses, producers and directors, singers, music directors, cameramen and sound recordists are available for all the preceding decades in Bombay, Calcutta, Chennai and internet, this is likely to have as much footfall as the retreat ceremony at Wagha/Attari. Amritsar's own contribution to the filmdom of India is immense. I have a team, which is capable of furnishing it with exhibits. This offer was made to Punjab Minister of Tourism and Culture Navjot Singh Sidhu, a few months ago. The government has to provide land and building, which the government at present has in Amritsar. 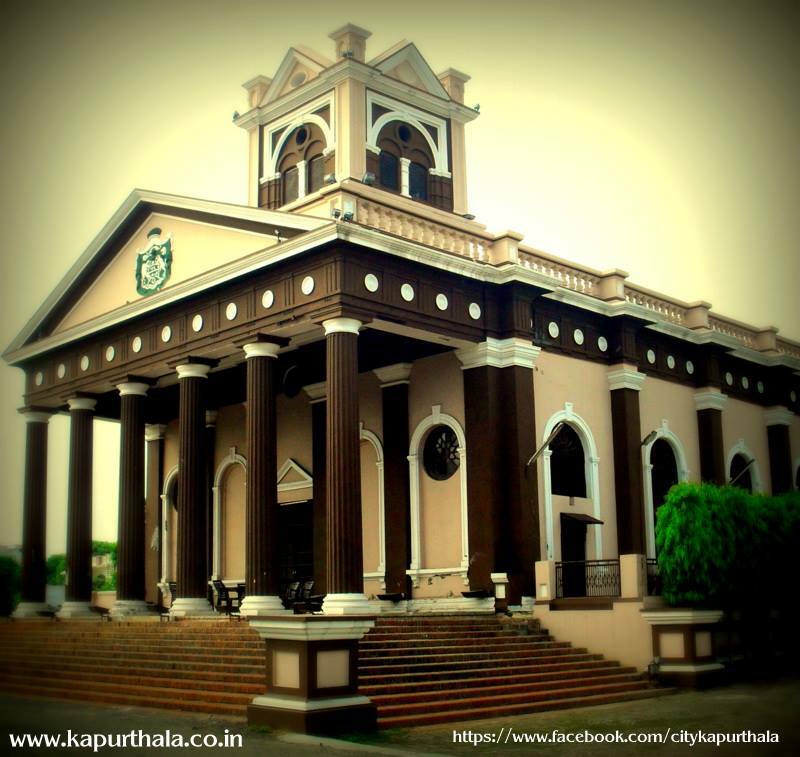 JAGATJIT PALACE KAPURTHALA: It is a more than a century old specimen of French Traditional Architecture. This property is owned by the Government of Punjab, but it is leased to the armed forces for running a Sainik School. The irony is that this third finest building in Northern India, after the Victoria Memorial Calcutta and the Rashtrapati Bhawan in New Delhi has never been opened to even the most well meaning international tourists since 1960. This architectural treasure has been callously hidden from the most knowledge seeking humanity. Its century old false plaster of Paris ceiling is falling. Its exterior needs repairs too. Its lawns are witherng and the flower beds have seldom been watered. We need a sprinkler system here. The tourists can be bussed after breakfast from Amritsar, they can hike, jog and picnik here and can be served lunch. The evening can be spent in the Moorish Mosque and the Science City Kapurthala, the tourist can easily spend the night in Kapurthala, if a decent hotel is built close to the palace or for the time being, the tourist can go back to Amritsar. DARBAR HALL (WITHIN HERITAGE DISTRICT COURT HOUSE) KAPURTHALA. GURDWARA BER SAHIB SULTANPUR LODHI (RELIGIOUS). LODHI FORT 800 YEAR OLD SULTANPUR LODHI. JANG-E-AZADI MEMORIAL ON G.T ROAD KARTARPUR IN JALANDHAR DISTRICT. DAKHNI SERAI (TEHSIL NAKODAR) JALANDHAR. MUGHAL COURTIER'S MAKBARAS AT NAKODAR JALANDHAR. SERAI OF NUR MAHAL JALANDHAR. HAZRAT IMAM NASIR MOSQUE JALANDHAR. FORT RANJIT SINGH (INCLUDING BRITISH RESIDENCY) PHILLAUR. BHAGAT SINGH MEMORIAL MUSEUM KHATKAR KALAN NAWANSHEHAR. RUINS OF AAM KHAS BAGH IN SARHIND. GURDWARA FATEH GARH SAHIB (RELIGIOUS). SHISH MAHAL BEHIND OLD MOTIBAGH PALACE PATIALA. CHANDELIER'S HALL MUSEUM AND MEDAL'S GALLERY PATIALA. SOME RESTORABLE PROPERTIES OF THE ROYALTY OF NABHA. SOME RESTORABLE PALACES, COURTS AND GARDENS IN SANGRUR. ROYAL NAWABI PALACE IN MALERKOTLA. SOME RESTORABLE PARTS OF FORT BATHINDA. MOST OF THE HISTORIC LANDMARKS OF FARIDKOT ARE A DISPUTED PROPERTY NOW. ANGLO-SIKH WAR MEMORIALS IN FEROZEPORE. SAMADHI OF SHAHEED BHAGAT SINGH AT HUSSAINIWALA FEROZEPORE. EMPEROR AKBAR;S CORONATION PLACE KALANAUR (GURDASPUR). All these buildings need good approaches, nice hygeinic cafeteria facilities, decent restroom facilities and sufficient parking. The infrastructure must be in place prior to opening these buildings for tourism. BATHINDA: It is a new airport, there are very few places of tourist interest in its vicinty. Its linkage with Delhi is covered under the central government's UDAN scheme. We should request its linkage with Amritsar and Chandigarh also under UDAN scheme. LUDHIANA: Being an industrial and business city, it has tremendous potential, but somehow its passenger load is taken away by the Chandigarh Airport. It is covered under UDAN scheme. We should try for a flight from Mumbai too under UDAN scheme. So far its future is bleak, we need persistent efforts to revive its fortunes. PATHANKOT: This airport is also covered under the central government's UDAN scheme with Delhi. This airport provides a very suitable link with the summer paradise Himachal Tourism. We should aspire to link it with Mumbai too. CHANDIGARH INTERNATIONAL AIRPORT: This airport serves half of Haryana, Eastern half of Himachal Pradesh including Shimla, the UT of Chandigarh and the Malwa region of Punjab with the exception of Ferozepore and Moga districts, which are served better by Amritsar International Airport. Chandigarh is very well connected domestically with Delhi, Mumbai, Hyderabad, Bangalore, Jaipur, Goa and some other big cities. Due to some technical problems, its international connectivity is so far limited to short haul flights to the Middle East and soon it will be linked to entire South East Asia too. At present it handles flights to Bangkok only. This airport is currently undergoing upgradation. Hopefully the work will be completed by the end of May, 2018. Chandigarh Airport will be the future of Punjab and Himachal Pradesh. It will handle connectivity to the world. AMRITSAR INTERNATIONAL AIRPORT: Built in World War II, it is the oldest airport in Punjab. 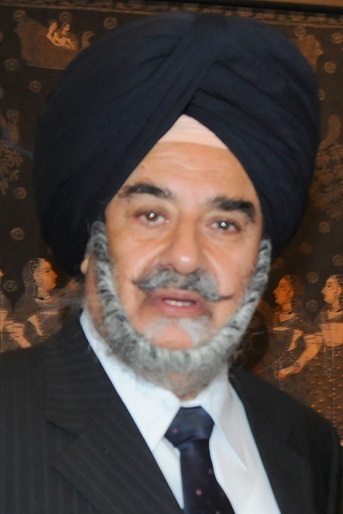 Its international connectivity has been direct between Amritsar and London and between Amritsar and Birmingham in the past. Now it is connected to both these British cities via Ashqabad (Turkmenistan Airlines and Tashkent (Uzbekistan Airways) and via New Delhi (Air India). It is also connected directly to Kualalumpur, Singapore and Doha through foreign airlines. Amritsar's link via Doha (Qatar) connects it to one hundred and thirty important airports in the world. In winter it is well connected to Vancouver in B.C. Canada via Air Canada. This airport has fourteen daily flights to New Delhi, Srinagar and minor Southern cities and four to Mumbai. It also has convenient flights to Bangalore and Chennai. But for better footfall of domestic tourists, we need direct flights to Jaipur, Goa, Kolkata, Patna, Ahmedabad, Kerala and Surat. At present there is no air service between Chandigarh and Amritsar airports, the Punjab Government should request the central government for the linkage of these two airports through the centrally financed UDAN scheme. For better international tourist footfall, we need direct single hop flights from Amritsar to Milan, London, Birmingham, Toronto and Vancouver and two hop flights to Frankfurt, San Francisco, New York, Los Angeles and Melbourne. Recently three direct flights of Air India were started for Birmingham. They are flying with 90% passenger load. Air Asia has plans to fly four times a week between Amritsar and Qualalumpur from August 2018. Some other international airlines are ready to fly to Amritsar, if it is allowed by India. There is no denying the fact that we can have a very important tourist entry point in Amritsar, which is the closest city in India from Europe and North America, from Amritsar the tourists can spread to different tourist points in Punjab and the money will stay within Punjab.